VANCOUVER — Updated site redevelopment plans for Providence Academy in Vancouver will be unveiled during a presentation and open house hosted by The Historic Trust and Marathon Acquisition and Development on Thu., May 31. The Historic Trust has worked to preserve the 7-acre Providence Academy site and position it for redevelopment since acquiring it in 2015. It recently underwent a $2.1 million exterior renovation. Changes to the developing plans for the site will be unveiled during the presentation and open house. President and CEO of The Historic Trust Mike True will detail considerations for redeveloping the site and Aaron Wigod, of Marathon, will share the design philosophy and update project plans that arose from the recommendations of the Academy Advisory Team. “These recommended changes are the result of The Trust’s extensive community outreach process including feedback from the community, stakeholders, the Clark County Historic Preservation Commission (CCHPC), and the City of Vancouver,” according to a press release from The Historic Trust. The public will have the opportunity to interact with The Historic Trust and Marathon development team on the updated project plans after the presentation. 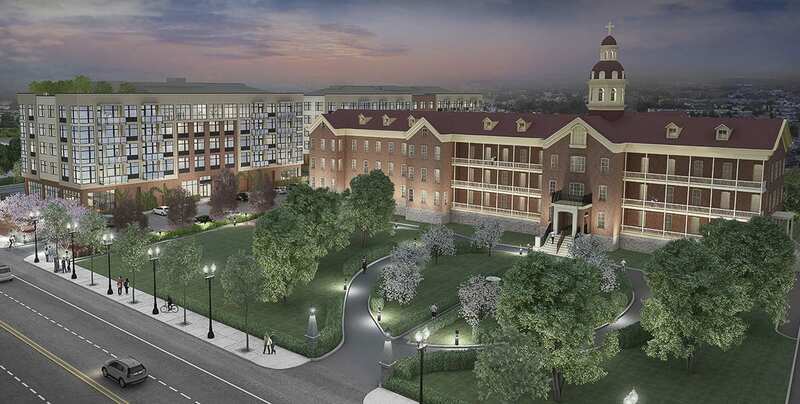 “To achieve The Trust’s long-term vision for the site, it has extensively engaged with the development community to prepare a program to redevelop the site into a mixed-use urban campus,” according to the press release. “The Trust selected Marathon Acquisition & Development based on a shared vision and aligned principles. For more information about the Providence Academy redevelopment project, visit thehistorictrust.org/providence-academy. The presentation and open house will be held from 5 to 7 p.m. May 31 at Providence Academy, 400 East Evergreen Boulevard, Vancouver.